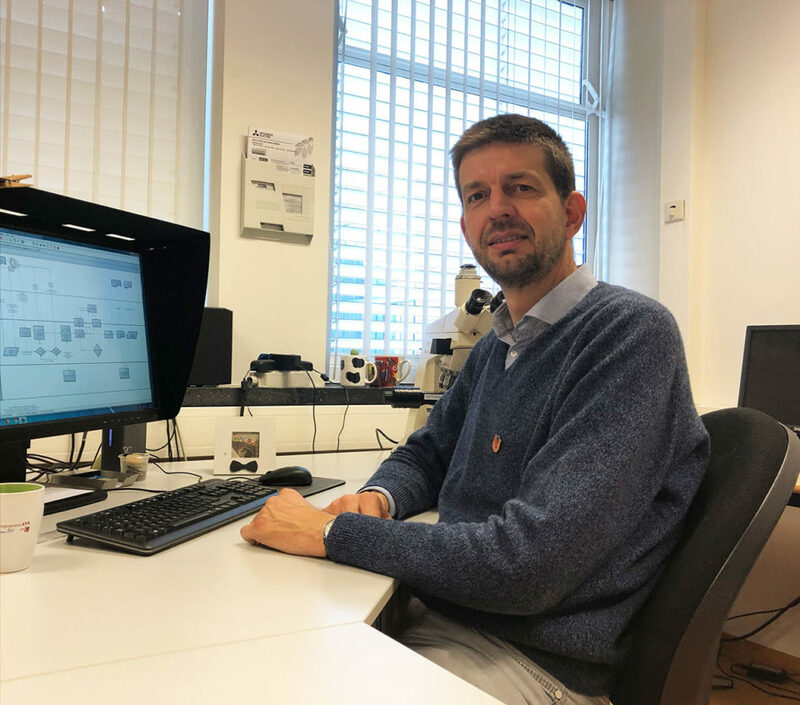 Associate professor Jeroen Beliën is a computer scientist (medical informatics) with special interest in image processing and image analysis within the field of cancer research. Besides his research he is responsible for all IT matters within the department of Pathology at VUmc (e.g. the implementation of a new laboratory information management system named Flexlab SymPathy; integration with Epic) and involved in the Dutch Pathology network (www.palga.nl).